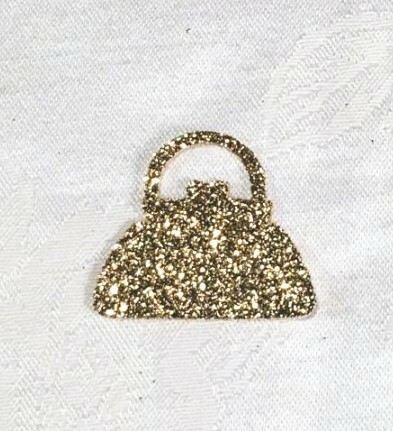 Our glittered purse shaped confetti can be sprinkled on your dessert table, sign in table, table settings, etc. to add charm and dazzle to your event! Each purse measures approx 1" x 1.25" and the glitter is on one side only. They are the perfect addition to your purse party decorations. Your order will contain 100 pieces of purse confetti. Please allow us up to 5 business days to fulfill your order; add ship time from the Gulf Coast.